Like Dante, who in exile in middle age found himself wandering confused in a dark forest, Eugene Schlusser found himself here in Australia tormented by his family’s disturbed past, which he realised he had to uncover and come to terms with. The Schlussers lived in Lenin and Stalin’s Soviet Union and Hitler’s Germany. This review appeared in a recent Quadrant. 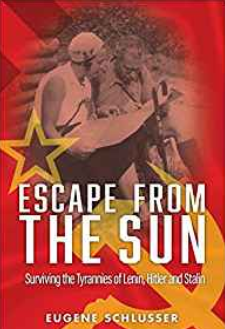 The book’s title refers to the Russian film Burnt by the Sun, meaning those who got burnt by being too close to the totalitarian dictators of the Soviet Union and Germany. Schlusser’s family suffered and survived the twentieth century’s most traumatic experiences. Even though they were not repressed or put into prison or camps, they experienced the worst decades, the worst countries and the worst ideologies, being at the centre of the maelstrom of our times, whose horrors have fortunately not been repeated. This book comes to us as a message from the dark side. 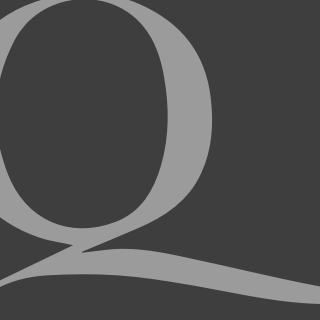 Two excerpts were published in Quadrant‘s February 2018 edition. George Orwell and Hannah Arendt were among the first to point out the similarities between the Hitler and Stalin regimes, obvious to us now, but hidden at the time from those whose ideological spectacles led them to view the two regimes as polar opposites of Left and Right. It is unusual in Australia to find a family who suffered grievously under both. Eugene Schlusser, a child from such a family, has been able from his Australian base to reconstruct his family’s trauma, and to offer it to us as a coherent story. His basic source material was the living memory of his parents and their extended families in Russia, Germany and other parts of Europe. He had to fill in the large gaps in the family story passed down to him, and to answer certain puzzling aspects of it. Why did his parents alter the date of their marriage? Did some members of his family work for American intelligence? Eugene Schlusser has researched on the internet, in books and in other sources any reference he could find to his family. He has consulted various background accounts of the period to give his family’s saga a context, and to throw light on possible explanations of their behaviour. In addition he has visited key locations in Germany and Russia whose inhabitants might divulge further details. His book reads in part like a detective story, where the author/sleuth ferrets out clues to puzzles and inconsistencies in the narratives he was brought up in. His parents were forced to deceive their children on various matters in order for the family to survive. This book has obviously been a labour of loyalty, pursued over many decades in the spare time he saved from his profession as a film-maker. The Schlussers were originally a German family, one of many who moved to Russia as traders during the reign of Catherine the Great, helping to establish the country’s structure as a modernising economy. By the time of the 1917 Revolution they were a wealthy family living in the centre of St Petersburg, but their business and urban dwelling were sequestered by the Bolsheviks, with the father Paul reduced to living in one room of his former family home. The portion of the family fortune the Schlussers were able to move to Western Europe was soon swallowed up by banks, financial advisers and hangers-on, whom the family could not keep an eye on from St Petersburg. Paul Schlusser was an electrical engineer specialising in lighting, and a keen photographer; some of the many photos which enhance this book may have been taken by him. Eugene’s mother Natalie was a vaccine scientist. Both, seeing a doubtful future for themselves in the Soviet Union, moved as a temporary expedient to Germany on Soviet visas in 1927 to continue their studies. But by the early 1930s, with Stalin’s purges getting under way, they decided to remain in Germany without visas, becoming stateless people as a result. In Russia they had been considered Germans and therefore outsiders, now in Germany they were seen as Russians and again outsiders. The Russian émigré community in German was infiltrated with spies from both Left and Right. Paul and Natalie worked hard; not for them the louche life of rich émigrés. They came from the working intelligentsia, serious and dedicated to their professions, rather than from the leisured intelligentsia, whose wealth and status made them self-indulgent. The Schlusser parents provide a study of contrasting personalities. Paul had a highly developed sense of responsibility, helping with various community groups and the local Orthodox church when living in the Frankfurt region during the war. But he was ground down by the burden of managing the family’s life in dark times. He found it difficult to cope, becoming remote and with an attenuated grasp on reality. Photographs show his features becoming those of a gaunt and haunted victim as the years pass. Eugene was much closer to his mother, who was warm, outgoing and competent, qualities needed after the father’s early death at the age of fifty. Paul, understandably outraged by the family’s treatment in Russia, made the terrible mistake of becoming a fellow traveller of Nazism, supporting it in the hope the Germans might rid his own country of the scourge of Bolshevism. This was his form of personal revenge on the Soviet Union. Paul was temperamentally unable to countenance alternatives to his own ideas. His son reflects: “That surely is the inherent danger of fascism, when individuals are threatened and lose the power to choose. The result is a rigid compliance to a pre-determined world view. I believe that my father may have been subject to that and suffered the consequences.” Hitler’s attack on Russia during the Second World War, which from one point of view pleased Paul, meant they were now enemy aliens in Germany. Their cross-cultural origins continued to haunt them. Under great strain, the Schlusser parents and children barely survived the terrifying last years of the German Reich, and after unsuccessfully applying for entry as displaced persons to the USA and Argentina, they were accepted by Australia. They were about to set off when Paul died of a sudden heart attack. Natalie had to take her four young children across half the world to begin life again from scratch in an unknown country, at first in Perth. She ended up dispensing her wisdom from a home overlooking the ocean at North Curl in Sydney. The author was educated here at university and became a film-maker. He comes across in the book as steady and rational, qualities which derive from a reaction to his family’s experiences. He had the perseverance to seek out the truth about his family, and to reconstruct it with clarity and restraint. It’s a gift to us in Australia who know relatively little of these things. Patrick Morgan’s book The Mannix Era: Melbourne Catholic Leadership 1920–70 was published by Connor Court in November.